Description: On this great show, Dianna's Special Guest is Andrew McNeill, Director of Economic Development and Tourism for the Town of Wasaga Beach. Andrew tells us about his family's deep roots in Wasaga Beach and lets us know about some of the exciting plans he is working on to help bring good things BACK to The Beach! BEACH CORNER with Dianna Chycki is broadcast every Tuesday and Thursday, ONLY on Beach BOOSTER Radio! Wasaga Beach's only truly local radio! Beach BOOSTER Photo: Andrew McNeill with Dianna at the Beach BOOSTER Office/Studio. On this great show, Dianna's Special Guest is Andrew McNeill, Director of Economic Development and Tourism for the Town of Wasaga Beach. Andrew tells us about his family's deep roots in Wasaga Beach and lets us know about some of the exciting plans he is working on to help bring good things BACK to The Beach! 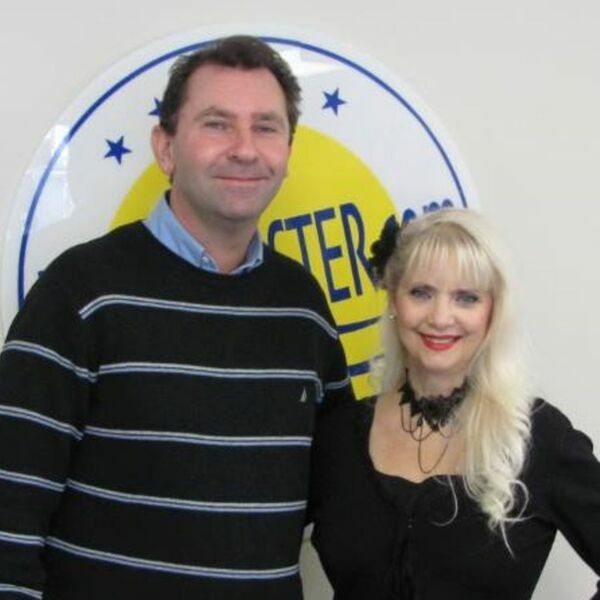 BEACH CORNER with Dianna Chycki is broadcast every Tuesday and Thursday, ONLY on Beach BOOSTER Radio! Wasaga Beach's only truly local radio! Beach BOOSTER Photo: Andrew McNeill with Dianna at the Beach BOOSTER Office/Studio.